It outpaces Parse (RIP), Firebase, Azure and Amazon’s Cognito for mobile database usage, and the company says it’s the fastest growing mobile platform for developers, outpacing attention-grabbers like Xamarin and Unity. High-profile Realm users include Nike, Starbucks, Vine, NFL, Cisco and The US Department of Homeland Security. These figures celebrate Realm’s 1.0 release for iOS and Android, a key status symbol for platform maturity and stability. It now supports the latest version of Swift, and sports intuitive Java modeling as well as a revamped notification system for reactive apps. 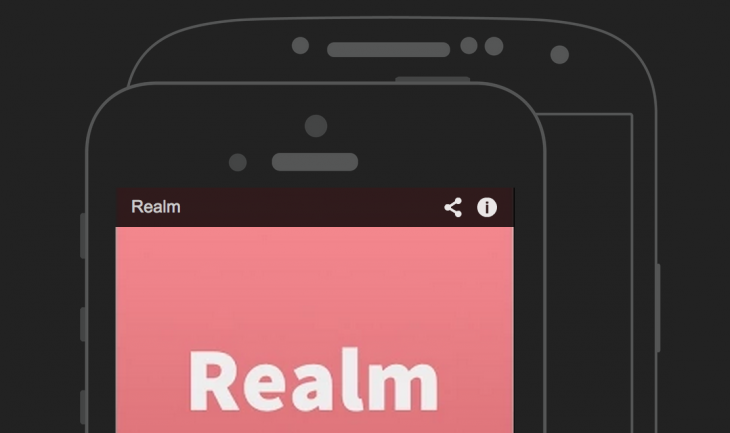 It’s an impressive milestone for Realm, and there’s no sign of a letdown. Realm recently launched Xamarin support, making it a database solution every mobile developer can turn to.